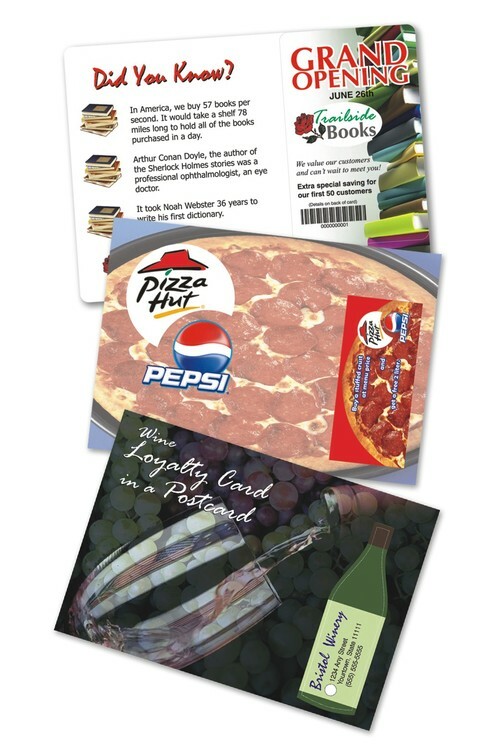 Get your direct mail piece noticed with our glossy plastic postcards. With punch out card or key tag, these are great for "call to action" marketing tactics. Ideal for advertising events, specials, discounts, give-aways and other announcements. * Standard size is 5.5" X 4"